Irritable bowel syndrome or IBS is characterized by chronic abdominal pain that is related to defecation and altered bowels. 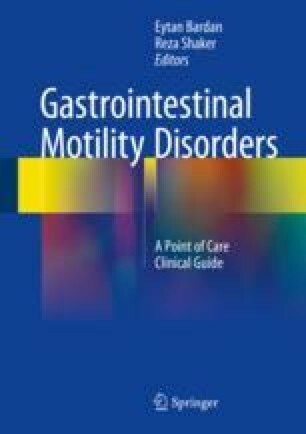 The disorder is better defined as altered gut-brain interaction than as a functional gastrointestinal (GI) disorder. When diagnosing IBS by the Rome criteria and not by exclusion through extensive testing, the accuracy of the diagnosis in 98%. Nonetheless, if the provider decides to proceed with testing and results are negative, one should try to refrain from statements such as “your pain is still an enigma” or “I could not find a GI source for your pain” as these statements lead to more unnecessary testing and increase patient’s anxiety. Rather, we need to spend time talking to the patient and discuss the different mechanisms that underlie the development of IBS. The first and most cardinal step in treating a patient with IBS relies on establishing a good doctor patient relationship and addressing patient’s concerns. Living with IBS is not an easy task and some patients are overwhelmed by the ongoing need of dealing with recurrent or daily symptoms, which are at times unexpected and debilitating. Even though we don’t cure IBS, there are many treatment options we can choose from either medical, non-medical or a combination. Once we have tailored treatment plan to patient’s needs, individual preferences, and beliefs, and we engage the patient in the treatment plan, there is a good chance we will help him improve his symptoms, quality of life, and global function. Ruepert L, Quartero AO, de Wit NJ, van der Heijden GJ, Rubin G, Muris JW. Bulking agents, antispasmodics and antidepressants for the treatment of irritable bowel syndrome. Cochrane Database Syst Rev. 2011;(8) doi: 10.1002/14651858.CD003460.pub3. Peckham EJ, Nelson EA, Greenhalgh J, Cooper K, Roberts ER, Agrawal A. Homeopathy for treatment of irritable bowel syndrome. Cochrane Database Syst Rev. 2013; doi: 10.1002/14651858.CD009710.pub2.